I am often first contacted by clients looking to book a newborn photographer, but you absolutely don’t have to be celebrating the arrival of a newborn to have your child photographed! I absolutely adore the opportunity to photograph older babies and sitter sessions are often some of my favourites to photograph. At around 6 months, your baby may be trying to sit up, either unassisted or with the help of something to hold on to. This is the perfect age for a sitter session. Parents are always closely involved and close by during my sitter sessions to ensure your child’s safety at all times. 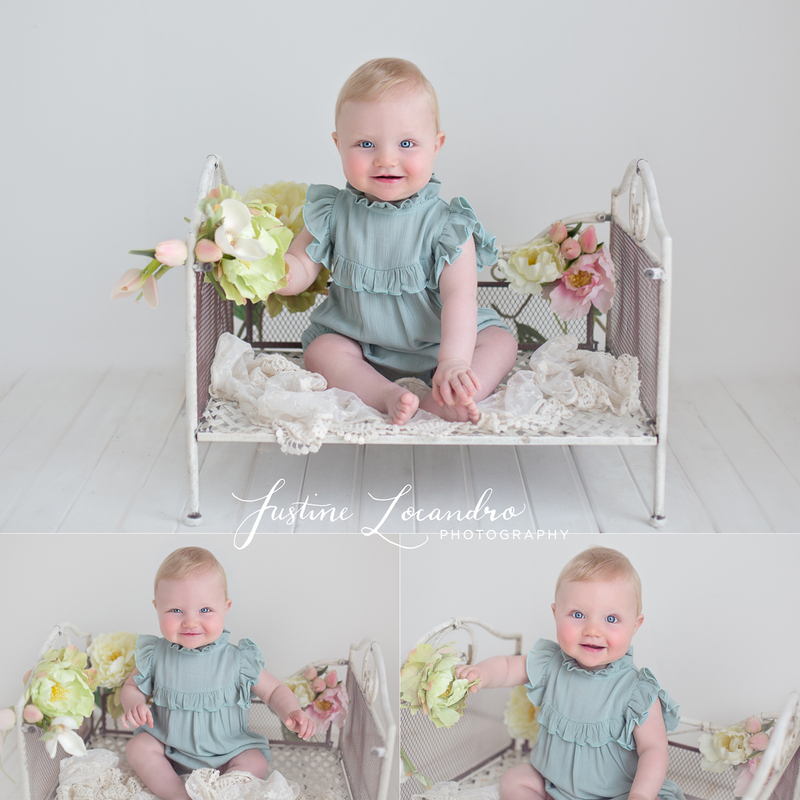 The ability of your child to sit up provides us with the opportunity to shoot a variety of different setups and to use different props. Being a Ballarat based photographer, the weather is often on the chilly side, but I love the opportunity to step outside the studio and photograph sitters outdoors, weather permitting! I am fortunate to have outside the studio, a fantastic garden and bush setting. This provides little ones with some down time between setups, offers a change of scenery and a stunning backdrop for your photographs. Sitter sessions are significantly shorter than newborn sessions, and often last around 60-90 minutes. This allows plenty of time for your child to relax and to take some time out. It also ensures that we have enough time to get plenty of variety out of the session without ever feeling rushed. I mostly find that these sessions are best done during the morning, but I always chat with parents beforehand to work around nap times so that our little model is fresh and rested. I have several outfits, bonnets and props to work with, but also encourage parents to bring along a favourite outfit(s) as well. 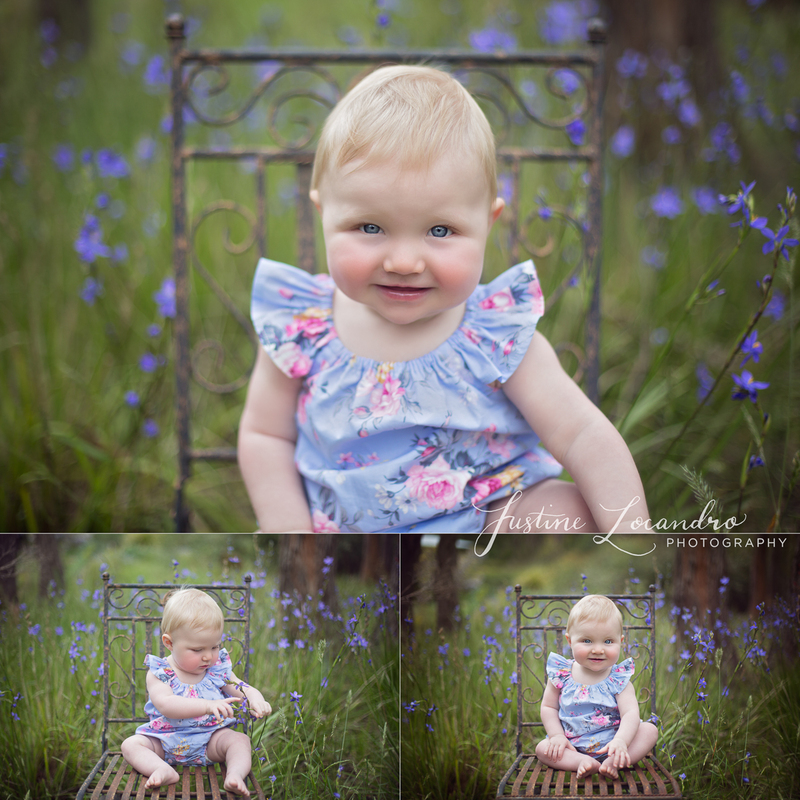 Here are some images of the stunning Honora who had her sitter session at 8 months old. Ballarat weather was beautiful, so we were fortunate to also get some images out in the garden. Her cheeky smile and bright blue eyes get me every time! Seriously, how cute is she?!! For more information or to book a session please feel free to contact me at https://www.justinelocandro.com/contact-me/ . Or check out my frequently asked questions page https://www.justinelocandro.com/faq/ . I’d love the opportunity to discuss your sitter session and answer any questions you might have. I offer a pre-session consultation to make sure we are getting the images you love. Sessions are customised to work for you and your child. They are perfect way to celebrate your little one learning to sit up! Finally, thanks for stopping by and reading! I’d love to hear your thoughts and experiences on sitter sessions and happy to answer any questions. Feel free to leave a comment at the end of blog. Also, if there’s a topic you’d like me to create a blog on leave a comment and let me know! 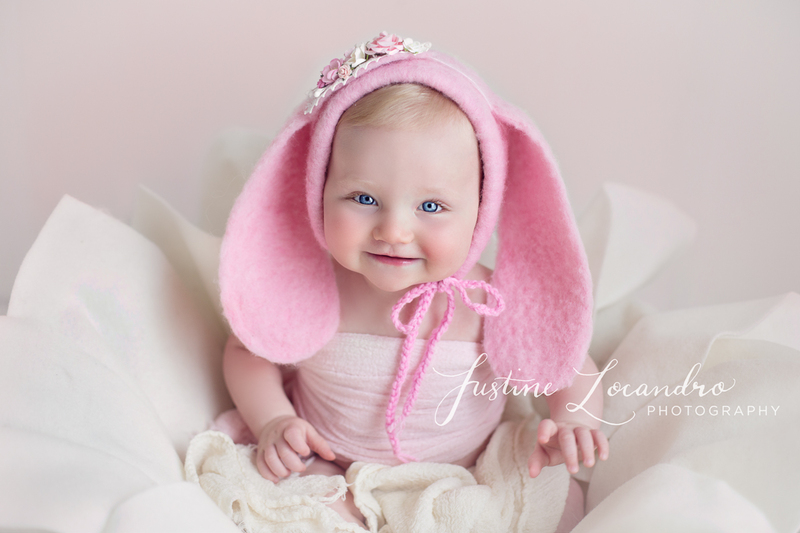 Thanks so much for capturing our little girl, Justine! 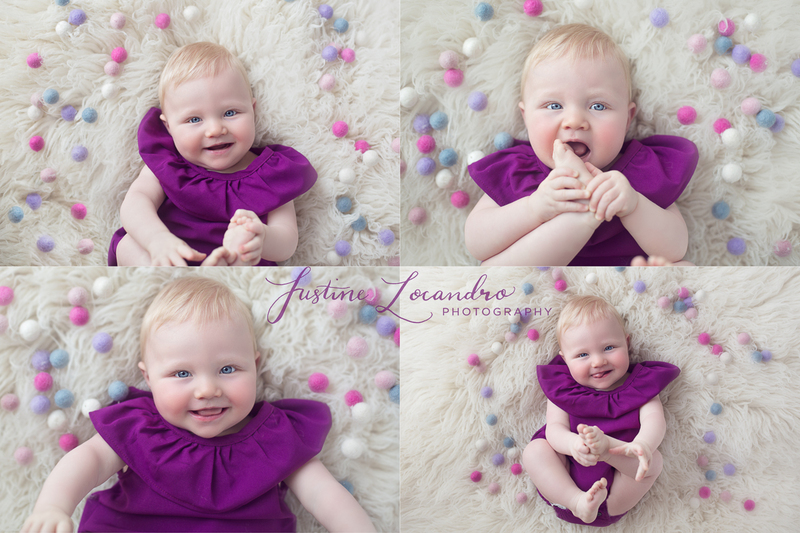 You are so genuine and a natural with babies – we have felt so comfortable every time we have been in for our sessions. Your photos are treasured by us and our family, they are such great quality, especially the hard prints provided with the package and the gorgeous little timber box to store our USB. Thanks again, we couldn’t be more happy.